For over 50 years, Sal's Barber Shop has been an integral part of the New City community. Where traditional barbering and hot shaves are our business. Quality haircuts for men and women from stylists who specialize in hair care and who stay up-to-date on hairstyle trends. At Sal's, we will help you find that right look and hairstyle that is just right for you. Come in and give us a try, you will not be disappointed. 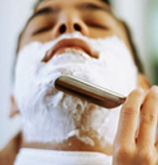 With our hot towel shave treatment we use hot lather, a straight razor shave with or against the grain followed by a cold towel. 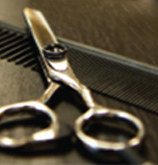 Give the gift of a great haircut, ask us about our gift cards.